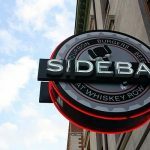 I harbor no such thoughts about Sidebar at Whiskey Row, which smartly conducted several private dinner services over the past week to get its staff trained and perfect its kitchen execution. I’m a lousy bettor at Churchill Downs, so I don’t play the ponies. But I’d confidently lay money on this restaurant being a winner. Corbett’s all-beef version sells for $15, which is the same nickel you’ll pay for St. Charles Exchange’slamb burger. A few dollars less will let you eat a wide range of burgers at Mussel & Burger Bar, which opened in early February.